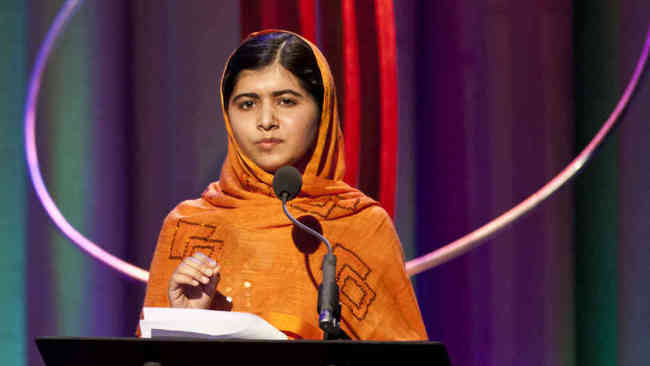 Pakistani teen girl Malala Yousafzai is a rare breed of human being. 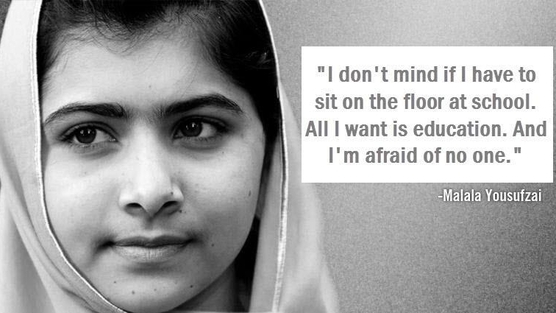 At the age of 14 she was shot in the head by the Taliban for advocating education for her and her young female peers, but it didn’t kill her. She resides in the UK, and after recovering from a gunshot wound to the head (to the head!) she has taken the world by storm. Not only has the publicly forgiven her attackers, it seems while they have been arrested for shooting her in October 2012, she has gone from strength to strength. She has spoken at the United Nations, urging world leaders to recognize the important of educating girls in developing countries, she has created a literacy app for girls, written a book about her journey, visited children in Syria who have displaced because of the war, and has even found the time to teach her mom to read! This time last year she just lost out on the annual Nobel Peace Prize award to Pope Francis, but this year she took home the top honor, becoming the youngest recipient of the award! She shares the prize jointly with another activist, Kailash Satyarthi, who campaigns to help children break free from child trafficking and campaigns to stop child labor. There are a few reasons why Malala being awarded this prestigious prize is significant: the first as we stated above, is that she is the youngest recipient. Second, she is a girl from a small village in Pakistan and her message is about one of the simplest things in the world: the ability to read and write. Third, she was awarded the prize before the 3rd annual International Day of the Girl, which the United Nations started 3 years ago to place emphasis on and celebrate girls around the world. The fourth reason because of who she shares the prize with. 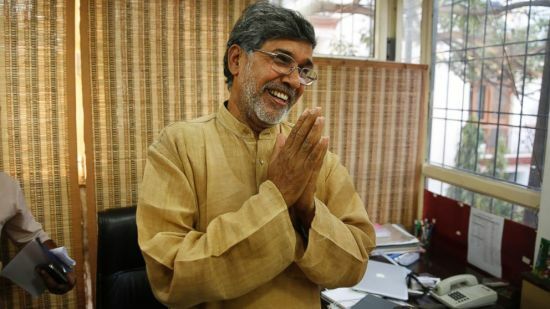 Kailash Satyarthi who is a Hindu man from India, where as Malala is a Muslim girl from Pakistan. These two countries have been warring ever since India gained Independence from the British Empire in August 1947. Their religious and cultural differences have been evident in many ways, yet the joining of these two visionaries speaks volumes. Despite their different backgrounds, they are sharing the $1.1 million prize equally, and also making a huge stand for the plight of children. If a 60 year old man and a 17 year old girl can put aside their cultural barriers and work for something beyond themselves, then why can’t we? “I’m proud that I’m the first Pakistani and first the young woman, or the first young person, who is getting this award,” said Malala about the prize. “If with my humble efforts the voice of tens of millions of children in the world who are living in servitude is being heard, congratulations to all,” Mr. Satyarthi said. “The Nobel Committee regards it as an important point for a Hindu and a Muslim, an Indian and a Pakistani, to join in a common struggle for education and against extremism,” said Thorbjorn Jagland, the committee’s chairman at the announcement in Oslo, Norway. Malala herself recognizes how significant it is that she was chosen alongside a veteran activist, who is not anywhere near as well-known as her. “We also decided that since he’s from India and I’m from Pakistan that we would try to bring a strong relationship to India and Pakistan,” Ms. Yousafzai said in the news conference, adding that she and Mr. Satyarthi would invite Prime Minister Narendra Modi of India and Prime Minister Nawaz Sharif of Pakistan to the Nobel ceremony in Oslo in December. United Nations Secretary General also commented on the momentous occasion. To position Malala not against, but alongside a man who has worked tirelessly for the cause of the younger generation in his own country shows that this fight is ongoing, and we need all hands on deck. Kailash Satyarthu began working for children’s rights in 1980 as the general secretary of the Bonded Labor Liberation Front, an organization dedicated to freeing bonded laborers forced to work to pay off debts, real or imagined. He also founded the Bachpan Bachao Andolan, or Save the Children Mission, an organization dedicated to ending bonded labor and saving children from trafficking. “Poverty must not be used as an excuse to continue child labor and exploitation of children,” he said. In fact he believes child labor increases poverty. The position that Malala is now in is one that is very rare, as she straddles the line between being a role model for girls and women in the Western world, while also taking a strong and courageous stand for those in developing countries for whom her message is intended. The fight for girls education is not just something that women have to battle, it is a man’s fight also. What Kailash has been doing for the past 30+ years coincides with Malala’s mission to empower children and free them to become a powerful generation, not one that is oppressed by the burden of their forefathers. These are the headlines that need to be shouted from the rooftops, and taught in schools everywhere. These are the real heroes who work not with capes and superpowers, but with determination, courage and power in order not to gain recognition, but to make the world a better place. If there is anything about Malala’s story that resonates with us deeply, it is that age is not a deterrent, neither is socio-economic abundance. Our wish is for every young girl in the west who are bombarded with negative images, bad role models and unhealthy images in the media to look elsewhere for inspiration. 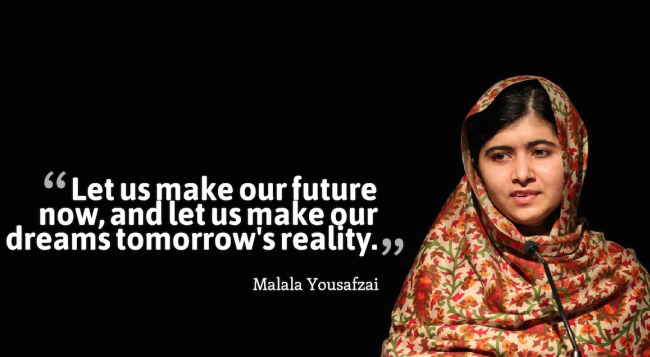 If a teen girl from Swat Valley in Pakistan can set the world on fire with a message about education, imagine what all of us can do when we find out what it is we are truly passionate about.